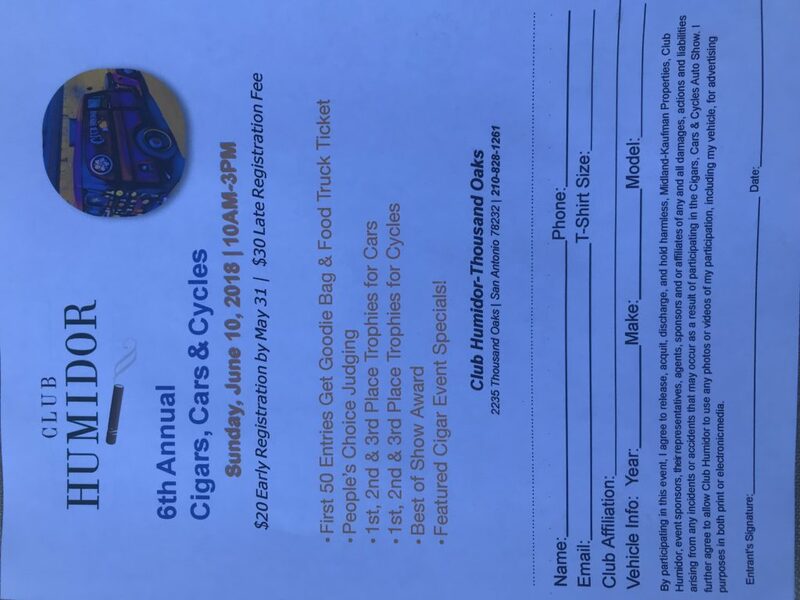 This is Club Humidors 6th annual show. This years event benefits the SS American Memorial Foundation in Seguin, Texas. Live music, food truck and of course Cigars, Cars and Cycles. 1st, 2nd and 3rd in both categories and best of show. Ours customers are the judges. Sunday, June 10th 2018 10:00am-3:00pm. Held at Club Humidor-Thousand Oaks, 2235 Thousand Oaks, San Antonio 78232.